Designed for passionate supermarket people, this event will be a deep dive into really practical solutions for both the common and the more challenging problems operators experience in their stores each day. 1. CEOs desiring an operations update. 2. Store Operations Executives looking for alternative solutions. 3. Merchandisers trying to complete the puzzle. 4. 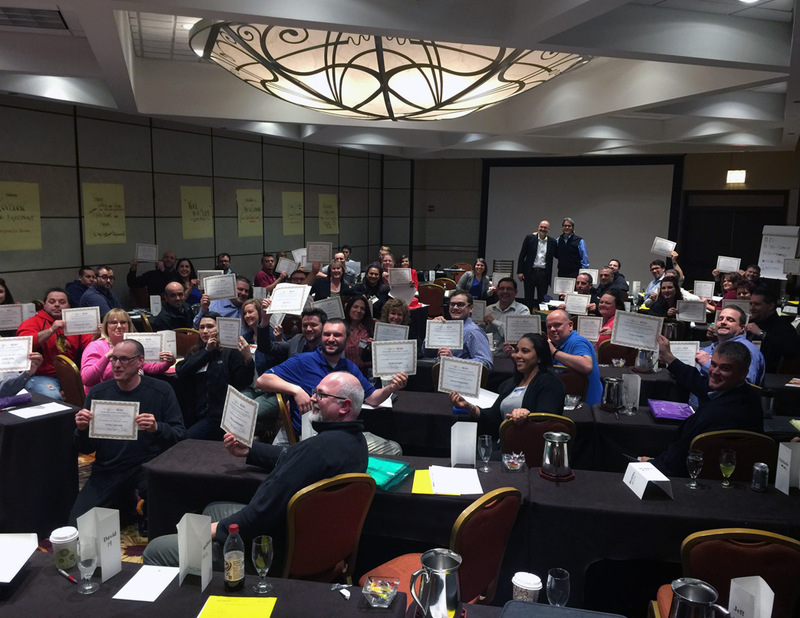 Successful Store Managers in search of a greater understanding. 5. New Store Managers looking for a major head start. 6. Department Managers with experience in at least three departments. Click picture to see 2017 class. Day 1: To Lower Prices or Raise Standards? Crafting a SMARRTEST Goal: Let’s end day one with another plan to improve! With your group, you will read Supermarket Rules (book provided) and pick your 5 favorite rules to adopt. Day 2: Building Sales, Controlling Costs! Resuscitating Center Store Sales. It’s Not Too Late! Crafting a SMARRTEST Goal: Let’s end day two with a plan to improve! With your team, visit food retail stores, and agree on the best take-away to share with the class next morning. Crafting a SMARRTEST Goal: Let’s end day three with another plan to improve! With your team, you will identify your top 2 take-aways from the first two days and draft your SMARRTEST Goals. Attend for all four days for $1,295 USD. Each day is designed as a stand-alone event. If you choose to attend specific days, the cost per day is $395 USD. Price includes class materials, refreshments and lunches Monday thru Thursday. Price does not include travel, hotel or other meals. Hotel rate includes breakfast. Register 9 attendees and the 10th attendee’s registration is free. The class will take place at the Superior Ballroom in the Holiday Inn Chicago O’Hare. A special rate of $110 per night + taxes has been negotiated for the class attendees. This rate will be available until Friday, March 30th. This rate includes Continental Breakfast. Call the toll free number: 1-800-HOLIDAY (1-800-465-4329) or (773) 693-5800. Mention the Group Name: Retail Learning Institute to get the discounted rate. Use the group code: RLI to get the discounted rate.